When I put this list together, I felt like I was vicariously shopping for all of you! I confess I found a thing or two for myself, too. :) One thing you’ll notice about these gifts: they are NOT the latest kitchen gadgets. The kale stripper, the gimmicks, the bric a brac, the things that take up drawer space. This list is low tech, highly functional, and aesthetically pleasing. Sturdy and durable, made to last, and to inspire. And everything has been vetted, by me! Except for the cookbook stand, see below. I’m hoping they’ll create wonderful memories for your recipients. The scent of the salve, the taste of the olive oil, the feel of the wooden scrapers… You’ll be giving a gift of the kitchen sensory experience. Kitchen delight! Whether a stocking stuffer or a family heirloom, these are the gifts that keep on giving—that treasured tool you hold in your hand day after day, and give your loved one’s pleasure! And many are made by small companies/in the USA. Got a friend moving into a new kitchen? A son, daughter or favorite niece just getting into cooking? This is the one. The Weeknight Pan says, Please use me! This is an everyday pan, a workhorse. I LOVE mine. It’s so versatile, It does everything but cook for you. You can use this pan to braise, sauté, stir-fry, steam. It’s stainless steel, non-reactive, and well constructed. All-Clad manufactures 100% of its fully-clad cookware in Canonsburg, PA, a small town south of Pittsburgh. This all-in-one pan that helps make cooking a pleasure. A company supporting sustainability, creativity and the community of artists. Made from salvaged wood, it has that warm, clean, utilitarian look I love in my kitchen. The ability to be hands-free while glancing at directions in either a cookbook or iPad can be a huge help! This pleasing and practical object was designed by Stacy Borocz, inspired by her time living in Budapest, Hungary, and drafted in the state of Georgia. A lovely, and useful, gift handmade by Portland designer Joe Gibson. The perfect pleasing and convenient container for those all-important pinches of sea salt. Earlywood makes handcrafted, heirloom-quality wooden kitchen utensils in Red Lodge, Montana that are both beautiful and attractively priced! These elegant pieces allow the cook󠁞 to do everything! Earlywood says, “The most multi-functioning kitchen utensils ever… and we’re not kidding!” The sauté does it all—scrape, flip, spread, sauté, stir, taste, crush, serve. A beautifully clean design available in several types and colors of wood. 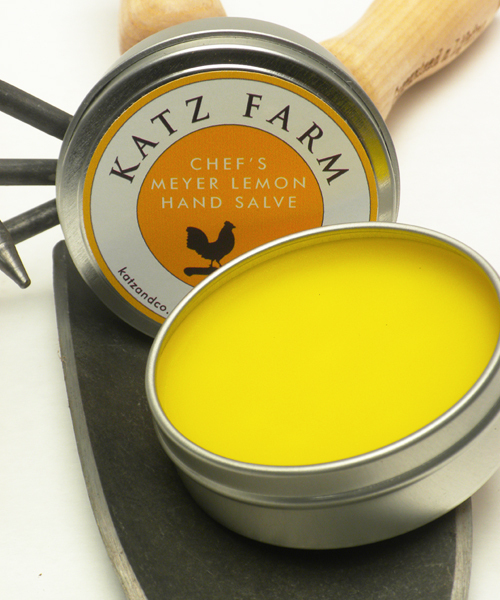 A great gift for both the experienced and novice cook. You can’t go wrong with a set or a single. A nice little video about using the flat sautë. These are my favorite gifty tea towels, from Christina Weber’s small shop, Studiopatr॔. Lovely colors, quality and unique graphics make these very special indeed. Natural, sustainable linen, hand-printed one-by-one with ecologically friendly water-based inks. A fun article about some of her favorite ways to use a tea towel. These are my favorite aprons, bar none. Lovely, elegant, and light, a total pleasure to wear. My heart sang when Kim and Albert Katz of Katz Farm (no relation, but long-time friends) and their magnificent orchards survived the recent Napa fires. Their fresh December harvest oil is a California treasure. This is a very special gift for yourself and for friends you love who are SERIOUS foodies! 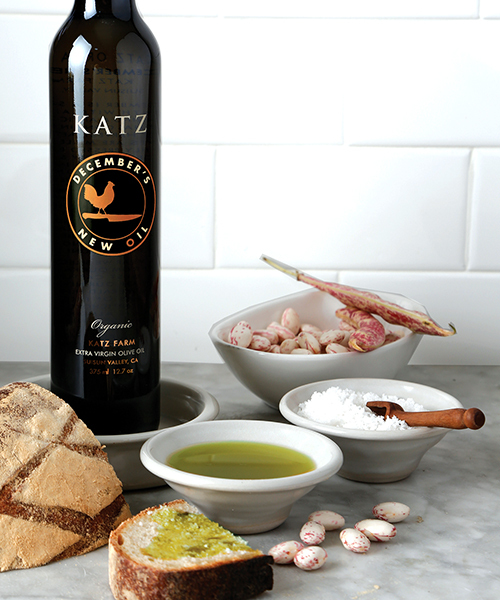 This new harvest olive oil is golden, robust, and vibrant, a fresh finishing oil meant to be drizzled on at the last minute so the flavor can be fully savored. This design is so simple and so pleasing! I have a kind of ugly stainless steel dispenser because I’d never been able to find one I really liked. Voila! Accessories matter in the kitchen, don’t you think? 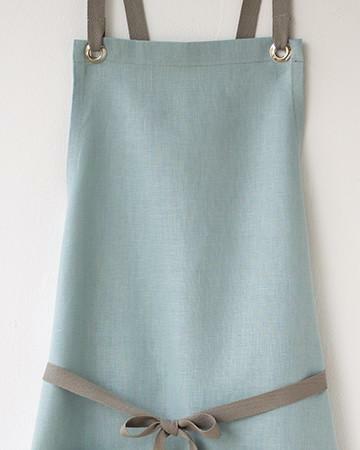 It’s fun when you find just the right utilitarian thing that actually looks kitcheny. Simple but charming. In case you are curious: I favor tea tree & peppermint soap, for both scent and disinfectant properties. A sharp knife is a must-have. This happens to be my fave! I even gave one to my 10-year old grandson (and his mom). An essential for the budding cook. A classic, forever and ever soup pot, an investment piece that gets handed down. It’s a generational thing. It’s ceramic coated cast-iron, so it’s not only non-reactive but also great exercise for your muscles! I have this 3 quart one and it’s my favorite soup making pot. It comes in a gorgeous array of colors. Take your pick! Every morning when I walk in and I see my little red kettle, it makes me happy! There are many lovely colors to choose from. What’s your loved ones happy color? A great choice for a gift they will use every day. Newer PostHoliday pleasures: the anti-guilt trip! Older PostGive the gift of yum!